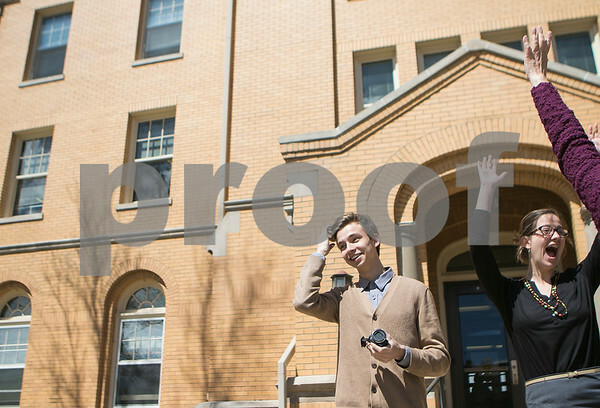 Northern Illinois University sophomore Oleg Grachev, of Russia, stands outside Williston Hall on campus ready to tape a video for the International Student and Faculty Office as Liz Toure (right), an international student advisor, practices her role on Monday, April 13, 2015. Grachev works in the office on campus five days a week as an assistant to the director of finance and administration. He's studying finance and economics, with a minor in statistics.